Watch Event: Live main card on television networks SuperSport World of Champions (Africa), Fight Sports (Europe and Asia) and ESPN Player (Europe). If there’s one fighter who has truly stood out among the Extreme Fighting Championship roster, it’s Demarte Pena. 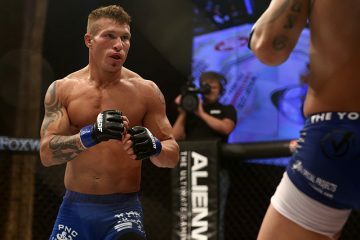 Pena, who once reigned as the EFC Africa featherweight champion, shifted his sights to the bantamweight division in 2014 and quickly claimed the EFC crown for the weight class. Now, at EFC 41, he will put his title on the line against challenger Cedric Doyle. Pena vacated his EFC Africa featherweight crown to challenge Nkazimulo Zulu for the bantamweight title. After five hard-fought rounds, Pena emerged with the belt. The 25-year-old fights out of Fight Fit Militia and made his pro debut in 2011. 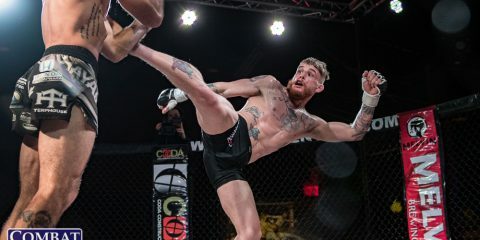 He captured the EFC Africa featherweight title in just his third fight and went on to make five successful title defenses before making the move to 135 pounds. Pena has seen the scorecards six times, while only picking up two TKO victories and two submission wins. He’s seen the championship rounds in an astounding seven of his 10 pro fights. His most recent outing ended in a successful defense of his bantamweight title with a fourth-round TKO finish of Francois Groenewald. Pena is a SASCA grappling champion and an undefeated amateur Muay Thai competitor through six contests, but he also has a background in Shaolin Kung Fu, karate and judo. Doyle’s record varies depending on the source — Sherdog has him at 4-1, EFC lists him at 7-2 and Tapology indicates that he’s 7-1-1. According to Tapology’s listing, Doyle has four submission victories and two stoppages via strikes. Regardless of which accounting is referenced, one thing remains a constant: Doyle is 4-1 inside the EFC’s Hex. “The Dominator” didn’t get an easy task for his EFC debut, in which he met the aforementioned Zulu. 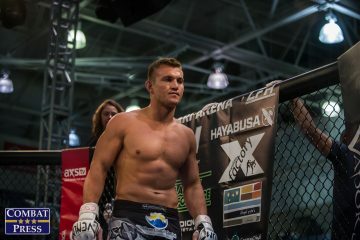 Zulu submitted Doyle in the second round and continued his march toward an eventual title shot and championship reign. Doyle, meanwhile, found his rhythm in his next outing. He scored three finishes — one submission and two TKOs — before edging Matthew Buirski on the scorecards in his most recent fight. Doyle’s fighting background of impromptu boxing matches with his brother and skirmishes on the beach eventually led to an MMA career. Doyle has put together a solid resume, but Pena has established himself as the elite man atop the EFC roster. Pena can finish opponents via strikes or submissions, but he tends to be more of a grinder who is content to let the judges determine the outcome. It’s worked to Pena’s favor thus far. Doyle has a better finishing rate, but he wasn’t as effective against his two most notable opponents, Zulu and Buirski. Pena is another big step up in competition for Doyle, and Doyle may not be up for the task. Pena has been an extremely effective fighter throughout his EFC career. Doyle’s a strong challenger and he won’t let Pena run away with the victory, but he’s going to have a tough time dethroning the bantamweight kingpin. Pena will draw this contest into the championship rounds, and that’s where Doyle will falter. This one has a decent chance of making it to the scorecards, but Pena could end it with a submission in the fourth or fifth round. With the UFC’s International Fight Week underway this weekend, it seems that most regional and international MMA promotions have opted to take the week off. 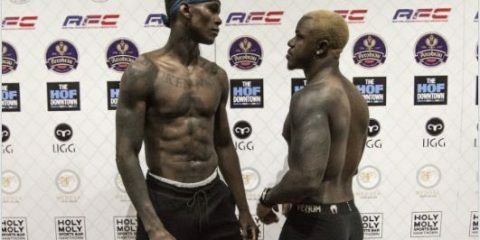 That leaves only a handful of events vying for this week’s spotlight, and it also leads to fights between a 7-2 prospect and a winless fighter topping the list of fights worthy of attention. That brings us to Karine Silva’s strawweight match-up with Claudia Vasconcellos. Silva, who fights primarily as a strawweight, is the prospect in this contest. The Astra Fight Team product made her pro debut with a loss to Elaine Albuquerque in 2013. She rebounded with five straight wins, all via strikes, but her competition consisted entirely of sub-.500 fighters who now hold a combined mark of 4-20. Her streak was snapped when she met future UFC fighter Maryna Moroz under the XFC International banner. Moroz submitted Silva in the first round of their encounter. Silva bounced back with two more wins, both first-round stoppages, but once more her competition, which consisted of a pair of fighters with a current combined record of 0-3, left something to be desired. “Killer” is primarily a striker, but she does have one submission finish on her record. Clube da Luta Viamão’s Vasconcellos hasn’t fared so well in her brief pro career. The 36-year-old debuted in 2014 and suffered a unanimous decision loss to Betina Baino, who now holds a 2-3 mark. Her sophomore effort went even worse. Vasconcellos lasted just over four minutes before she was armbarred by Carolina Karasek, who now stands at 5-1 through six fights. Vasconcellos has a background in taekwondo. Vasconcellos, despite a significant height and reach advantage, couldn’t outpoint Baino in a stand-up affair, and she lacked the takedown defense and ground game to stop Karasek from getting her to the mat and submitting her. Vasconcellos did hold top position for a while against Karasek, but it was a case of Karasek pulling guard to set up triangle submission attempts and the eventual armbar from the bottom that would finish the fight. Silva has demonstrated a much cleaner stand-up attack that mixes in kicks and movement. She should be able to beat Vasconcellos to the punch (or kick) at every turn. Silva has powerful takedowns, too, which spells even more bad news for her unfortunate opponent. If Silva can’t quite find her rhythm on the feet, she should have very little trouble scooping up Vasconcellos and slamming her to the mat. Silva isn’t known for her submissions, but she should still have the upper hand against Vasconcellos on the ground. Silva is expected to be one of the participants in the “Road to Invicta” portion of Imortal FC’s upcoming August event, so this fight against Vasconcellos is a quick stop before she steps up against tougher competition. The step up could be Silva’s undoing, though. The Brazilian prospect fares well when she’s meeting sub-.500 opponents, but she struggled mightily against Albuquerque and Moroz. This contest falls into the first category, pitting Silva against a fighter that she should steamroll. 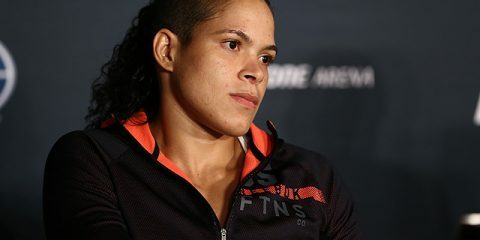 Vasconcellos doesn’t pack a ton of power in her poorly executed striking, she doesn’t have the speed to defend and counter Silva on the feet and her abilities just go downhill from there, with little to commend about her wrestling and jiu-jitsu. This fight will serve as a way to strengthen Silva’s record before she takes part in Imortal’s August show. Silva has made quick work of many of her subpar foes, and she can be expected to do the same against Vasconcellos. Pancrase, Shooto, Deep and even Zst tend to get all the attention among the Japanese MMA circuit, but the slow week in regional and international MMA provides an opportunity for another Japanese mainstay promotion to grab the spotlight. Tenkaichi Fight, which has been promoting events in Okinawa for the last decade, has served as home to a fighter who was identified simply as “That Guy” in fighter databases for a good portion of his career. Well, “That Guy” was finally identified by name in 2014. He is Justin Morton, and he reigns as Tenkaichi’s heavyweight champion. Morton is among the featured competitors at this weekend’s Tenkaichi Fight event, where he’ll meet Gladiator heavyweight champ Takaaki Oban. Morton went on a tear after debuting in 2010. He finished his first five opponents, and the longest of those fight came just shy of hitting the two-minute mark of the first round. The 27-year-old stumbled when he met veteran journeyman Yusuke Kawaguchi. Kawaguchi outworked Morton over two rounds to earn the judges’ nod. 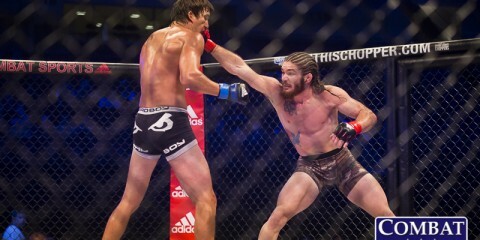 “That Guy” rebounded with a majority decision win and then, in his most recent contest, he resumed his trend of quick finishes with a TKO stoppage of Hiroya Deluxe in just under a minute and a half. Morton, who serves in the U.S. Army, has a background in high school wrestling. The 37-year-old Oban has been fighting professionally since 2006, but he has had a rocky road throughout his career. He fought to a draw in his debut, alternated wins and losses for his next five fights, fought to another draw, compiled a career-best three-fight winning streak and then went on to lose two of his last three fights. Despite the two draws on his record, “C-Boy” is not a fighter who tends to go the distance. He has just one decision win and a split-decision loss. The remainder of his fights have ended in a stoppage, with Oban scoring two wins via strikes and four by way of submission. He has suffered two losses via strikes and suffered one submission defeat. Oban’s losses have primarily come against middling competition, including a 34-second defeat to a fighter who now stands at 5-5-4 and a 77-second loss to a fighter who holds a current mark of 6-7-2. Mortonis far superior to any of either of those fighters. His wrestling, effective top control, aggressive stand-up and devastating ground-and-pound will be a whole lot for Oban to handle. The Japanese fighter’s previous quick exits are a good indicator of what can be expected in this contest. Morton will press forward and throw bombs. His relentless attack and wild nature can lead to scrambles, but he can also rely on his wrestling to score takedowns. Regardless of how he gets there, he will eventually end up on top of Oban. Once in top position, Morton is a pure beast. He transitions well and can maintain control, all while raining down jaw-rattling blows. Oban will get a firsthand lesson in Morton’s vicious ground-and-pound attack en route to succumbing via TKO.